supply a free no obligation quote. Our expert fitters will provide an exceptional service to ensure that you are left with exceptional flooring. You can match a carpet to your existing decor or find a carpet you love and build the style of your home around it. Our selection of quality carpets includes plain carpets, patterned carpets, carpet tiles, soft carpets, tough carpets and much more. If you are having trouble deciding, our expert staff will be on hand to help find the right new carpet for you. 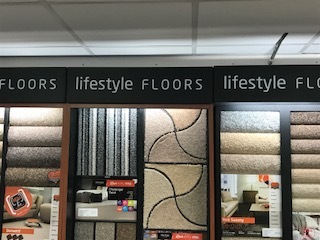 We can offer carpets from rolls or carpet tiles from many leading manufacturers such as Victoria Carpets, Westex, Penthouse, Crucial Trading Kingsmead, Lifestyle and Cormar. As a leading UK supplier of home flooring we know a thing or two about carpets. We have a large selection of carpets to suit every lifestyle and budget. Different homes have different needs, so finding the perfect carpet that’s both stylish and practical can be a real challenge. We understand that investing in a new carpet is a big commitment and with so much choice available can, for many, be a bit daunting. We aim to take the stress out of buying new carpet by offering expert advice to guide you smoothly all the way through from browsing to installation. We’ve created this expert guide to make it easier for you to find your perfect carpet. Carpet has been a staple flooring choice in UK homes for decades and it’s easy to understand why. It’s an affordable way to introduce texture, colour and softness into any room. 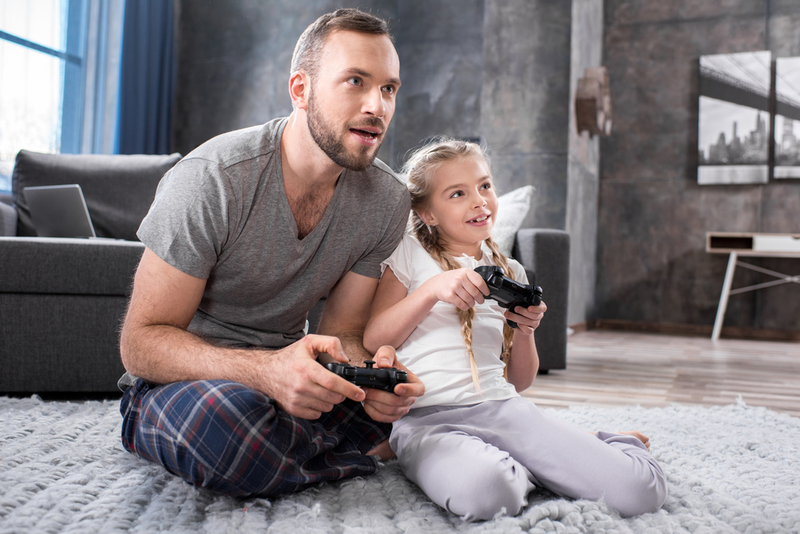 Carpet feels warm and cosy under your feet, but can still withstand everyday wear and tear and will reduce noise; making it a popular option for busy homes. In practice, virtually all carpets, irrespective of style or type, share the same basic construction: a pile or surface yarn is fixed to a backing material. The quality of a carpet is determined by factors that include the density of the pile and the fibre or blend of fibres that it’s made from. Carpets are often used in family homes because they trap allergens, dust and other contaminants which can then be removed when the carpet is vacuumed. We stock a diverse range of carpets to suit every budget, room and interior taste. From colour and fibre type to style and texture, you’re sure to find a carpet that suits you needs with us. We also have a great range of carpet underlay and accessories to ensure that you get the best out of your new flooring and achieve the perfect finish. To help you decide on the right carpet for your home, you can order up to four free samples of your favourite carpets online and we will deliver them straight to your door within seven working days. That way you can see how each of your preferred carpets will look in your chosen room and see which compliments your home. It’s just one of the ways that we make ordering new carpet easy. So by now you know the look you want to achieve and have decided on carpet as your preferred flooring type – but what next? Now it’s time to dig down into the detail. Which type of carpet is best for your chosen room, your lifestyle and your interior style? With the expert knowledge of our professionals, we can tell which carpet is most suited to the different areas of your home. The great thing about the carpets in our range is their versatility, with many styles suiting more than one room. Discover our room guide to carpets below. Carpet is perfect for the living room because it feels warm and soft underfoot. 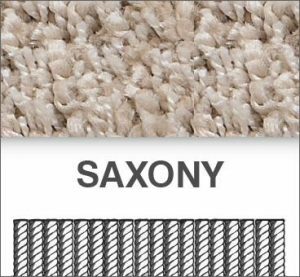 Saxony carpets are a popular lounge carpet as they have a deeper, more luxurious pile and twist carpets work well as they are a perfect mix of comfort and durability. loop carpets will suit your lounge but not if you have dogs or cats with claws that can catch. 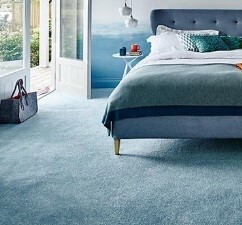 Like the lounge, carpet is ideal for bedrooms. With a lot of time spent barefoot in a bedroom you can afford for your carpet to be more luxuriously soft and comfortable than practical. So again, soft Saxony carpets are perfect. Want a bit of luxury? Velvet carpets with their rich texture and colours will really indulge your feet – and your eyes. 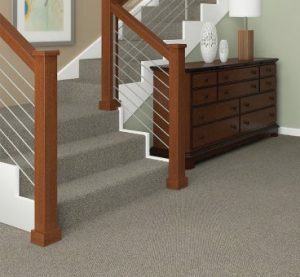 The hall, stairs and landing are high wear, busy areas which require a carpet that can withstand regular comings and goings, especially in family homes. 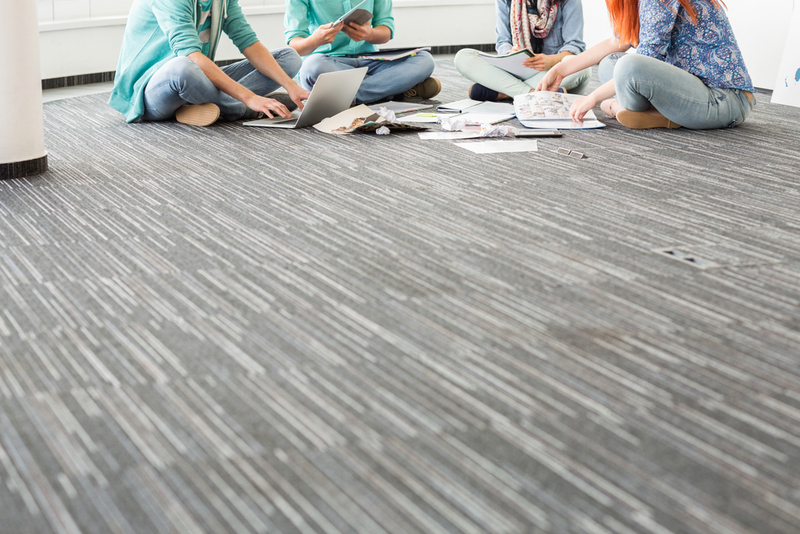 Twist, plain and textured carpets made from Polypropylene, Polyamide or wool are ideal for these spaces because they offer a blend of comfort and practicality. Consider stripes for extra impact on stairs. Whether you host occasional dinner parties or enjoy regular family meals in the dining room, we recommend a stain-resistant carpet to remove the worry of accidental spills. Wool carpets are easy to clean while polypropylene carpet can be cleaned with a bleach solution. Although not an obvious choice for the bathroom, there are carpets available which can deal with the challenges of this wet zone. Look for plain stain-resistant carpets with a waterproof gel backing. Use carpet to transform a cold bathroom into an inviting space. Like the bathroom, the kitchen is an area prone to staining but which also can be the busiest room in the home. Choose one of our specialist carpets for this area which can deal with the high traffic and staining of everyday family life. Update the heart of your home with carpet. The type of yarn fibres used to manufacture a carpet produce unique properties which directly affect the appearance, feel and longevity of your carpet. Our range features carpets constructed from man-made fibres, natural fibres or a blend of the two. But what are the differences between the yarn types and how will they affect the life and look of your carpet? 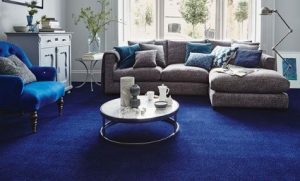 Soft to the touch but stain-resistant and incredibly hard wearing, polypropylene carpets offer excellent value for money and are ideal for pretty much anywhere in the home. They can withstand sunlight and damp and the coming and going of all family members including pets. Easy to clean, a bleach mix can be used on particularly tough stains. Polypropolyene has a tendency to flatten in heavier wear areas, so best to purchase better quality for those locations. Super-soft but still tough and durable, polyamide carpets are highly stain-resistant and easy to clean. Again an ideal choice for families polyamide doesn’t flatten easily and springs back into shape keeping the carpet looking sumptuous and beautiful. Developments in technology have created a new generation of super soft polyamide carpets that feel fantastic! Natural, sustainable and gorgeous to look at. Wool is the most resilient fibre enabling it to recover quickly from footfall and retain their appearance. Wool carpets are soft, durable, easy to clean and are available in a 100% pure form or in a blend with at least 50%. Colour looks richer on wool and it provides natural heat and sound insulation and is flame retardant. Although it can be more expensive than man-made fibres, wool carpet is so long-lasting it’s seen as an investment by many. Tough, natural and soft. Sisal carpets are hard-wearing, comfortable underfoot and have a contemporary, almost organic appearance. A traditional weave gives Sisal carpets their distinctive texture. Prone to marking by water or other liquids, sisal is best avoided in high moisture areas. Carpets are available in a wide variety of designs allowing you the freedom to be creative in your home with colour, texture and pattern. Whether you’re looking for a traditional look or a more contemporary feel there are carpet designs to suit your style. Here we explore the different effects that patterned, plain and striped carpets can have in your home. A patterned carpet can make a bold statement or add a sense of the traditional to your home. From classic motifs with ornate detailing, to on-trend contemporary styles, there is a patterned carpet to suit every home interior. Even your child’s bedroom or play area can be transformed with carpets inspired by their favourite characters. Choose a plain carpet to add dramatic colour, a neutral finish or anything in between. The versatility of plain carpet gives you the freedom to create the look you want with simple colour style statements or contrasting shades. Plain carpets can be used in any room to complement your existing décor or contrast to make a colourful style statement. 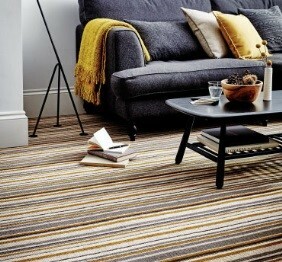 Be bold with your home design; introduce a dynamic striped carpet into your rooms for maximum impact. 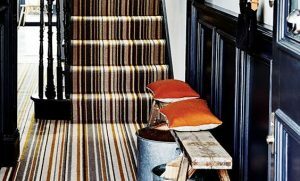 Especially popular on stairs, vertical stripes can create the illusion of space and are available in a range of contrasting colours which ooze personality. Striped carpet is ideal for busy homes as can conceal dirt and wear well. Carpet pile length: deep or short? Pile relates to the fibres in a carpet. A carpet is constructed by weaving these fibres in and out of the carpet backing which creates a series of loops. 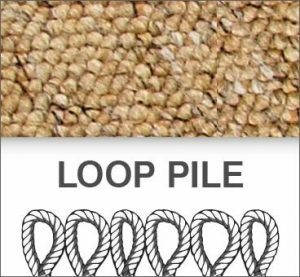 The loops are then cut to create a twist pile carpet, or left uncut to create a loop pile carpet. Cut and loop pile carpets use a combination. The thickness of a carpet’s pile determines the properties of that floor including its appearance, feel, durability and how easy it is to clean. There are two common pile lengths: deep and short. Deep pile carpets are thick, soft underfoot and feel luxurious. The added comfort and warmth that a deep carpet provides makes them a popular choice for cosy spaces within the home including the bedroom and living room. 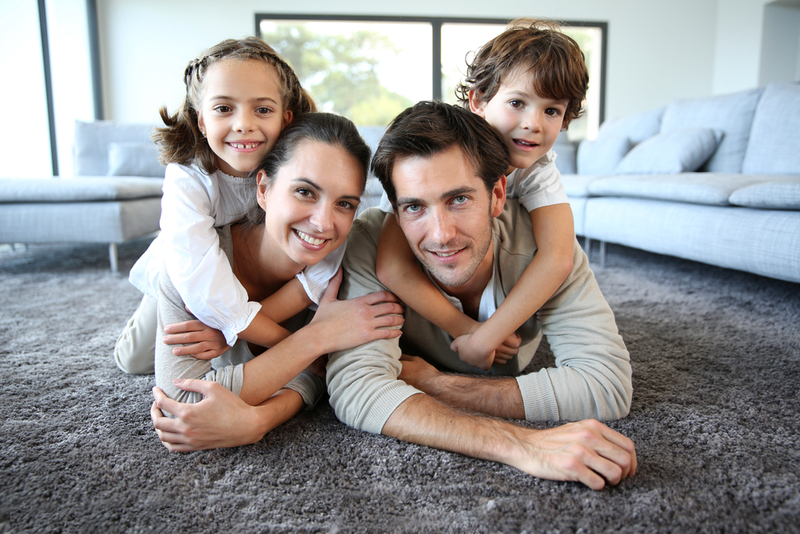 Short pile carpets are more suitable for high-traffic areas of the home as they tend to be easier to clean. The easy-clean properties of short pile carpets mean they are often used in hallways, landings and dining rooms. The way your carpet looks, feels and performs is determined by its pile, the way that its made and the fibres used. Generally, a shorter, denser pile carpet is best at keeping its appearance for longer in heavy wear areas. A longer pile carpet will add a touch of luxury! The varying levels of wear each type can withstand will determine suitability and whether it’s right for your needs and the living space to be carpeted. Smooth on the surface and hard wearing, twist carpets add tasteful styling and comfort for your home. Available in both plain and contrasting heather colours, twist carpet is great for busy family homes. 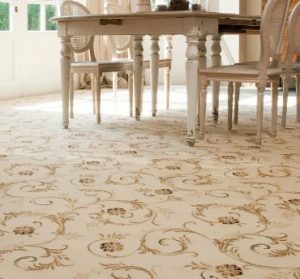 Twist carpets work particularly well in areas that will receive a lot of traffic such as a hallway, landing or kitchen. A delightful treat for the feet; Saxony carpet is renowned for having a super soft finish and a surprisingly hard wearing nature. The sumptuous thick pile of Saxony carpet has made it an incredibly popular choice for bedrooms and living rooms because of its deep and luxurious texture and soft feeling underfoot. Berber carpet comes in loop or twist piles and is available in a huge choice of patterns and textures, making it a versatile option. 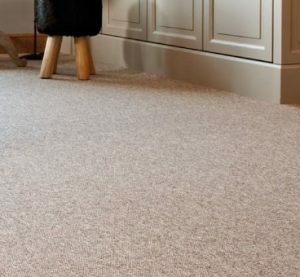 Affordable, stain-resistant and hard wearing, Berber carpet will easily cope with the comings and goings of a busy household, without compromising on its stylish appearance. Straight and looped fibres combine with some loops being cut to create cut and loop carpets. These cut loops create patterns which give the carpets a unique look, even in single-coloured designs! Again, because of the loops these carpets are not recommended for homes with pets that have claws. Dense, low cut pile with a smooth finish and very little twist in the yarn. Velvet carpet will feel luxurious on your toes and give your home a real feeling of indulgence. This carpet is beautifully soft, cosy and insulating so makes wonderful lounge or bedroom carpet.